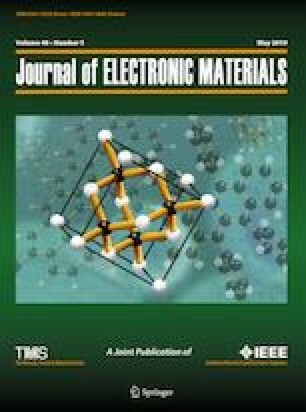 A series of copper chromite samples with different Cu/Cr molar ratios (0.5, 0.6, 0.7, 0.8, 0.9, 1, and 2) have been synthesized using the citric acid complexation sol–gel method from Cu(NO3)2·3H2O and Cr(NO3)3·9H2O precursor salts. The amounts of Cr2O3 and CuO in the samples were qualitatively and quantitatively confirmed by titration, and the samples were fully characterized using various common techniques such as x-ray diffraction (XRD) analysis, scanning electron microscopy (SEM), energy-dispersive x-ray (EDAX) spectroscopy, transmission electron microscopy, and Fourier-transform infrared (FT-IR) spectroscopy. The XRD spectra of the samples showed the presence of CuCr2O4 and CuO as major and minor phase, respectively. SEM analysis determined the morphology of the samples to be spherical or quasispherical with low degree of homogeneity, while the presence of Cu, Cr, and O atoms was proved by EDAX without other impurity elements. FT-IR spectroscopy demonstrated the presence of Cu–O or Cr–O bonds in the range of 400 cm−1 to 700 cm−1. The photocatalytic activity of the as-prepared samples was tested in removal of p-nitrophenol from aqueous solution. The results showed that the sample with Cu/Cr = 0.6 exhibited the highest photodegradation percentage (and also degradation rate) during 100 min of light exposure. The authors are grateful to Malek Ashtar University of Technology for financial support.